By Lawrence “Skip” Moss | EagleVail Realty & Management, Inc.
With nearly 8% of all transactions happening Eagle Vail in June, 2013, it is no wonder Eagle Vail is the place many are calling home for permanent residence and second home ownership. The following market synopsis provided by the Colorado Association or Realtors and Vail Board of Realtors, gives a very good description of where the market is and possible insight where the market is headed. In general it is fair to say pricing was at it’s best 12 months ago across the entire area. 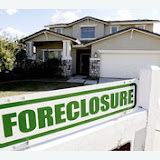 Now with distressed sales (foreclosures, bank owned, short sales) dwindling, value is getting a bit more competitive. For families seeking the Eagle River Valley’s best community or second homeowners wanting to beat the Twin Tunnels project delays and capitalize on attractive pricing, please consider contacting us today to learn how EagleVail Realty & Management will help you find, purchase and manage your next Eagle Vail or Eagle River Valley real estate. It won’t be long before the housing recovery is simply referred to as housing. market. During the downturn, much inventory was purchased by these groups. affordability for consumers remains attractive. percent for single family-duplex homes but increased 6.0 percent for townhousecondo properties. properties. Months Supply of Inventory decreased 38.9 percent for single familyduplex units while townhouse-condo units decreased by 30.8 percent. positive contribution to real GDP growth for 11 consecutive quarters.